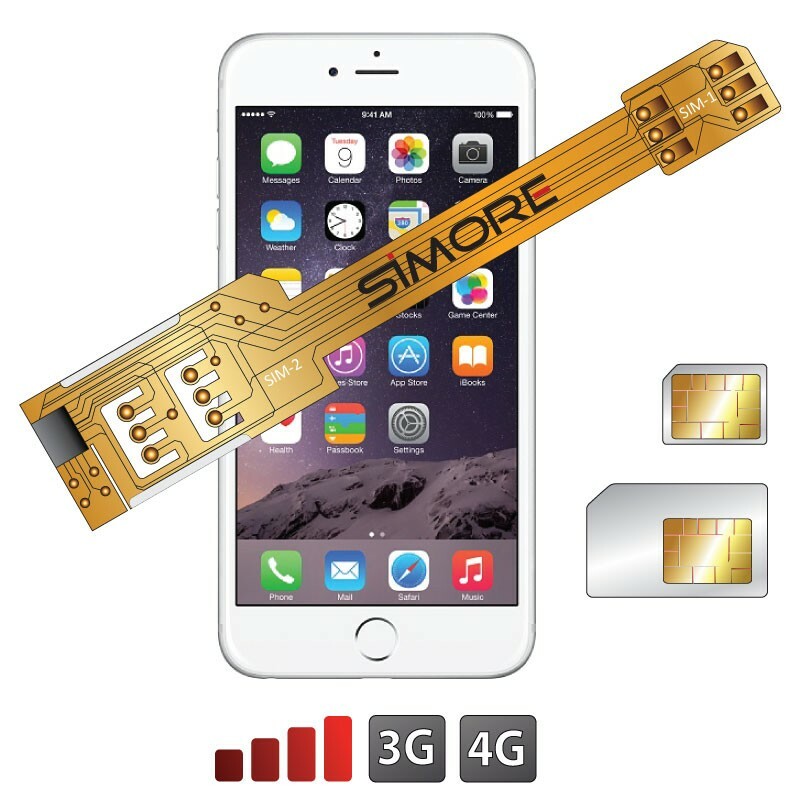 Install 2 SIM cards in your iPhone 6. The DualSIM case adapter X-Twin 6 allows you to have 2 SIM cards in your iPhone 6. The Dual SIM card case X-Twin 6 includes the shortcut function. You can switch between both SIM cards by dialling #11 (SIM-1) or #22 (SIM-2) directly via your iPhone 6 keyboard. With this ergonomic dual SIM case, your iPhone 6 is fully protected while keeping all its available features (buttons, connectors and camera of your cell phone).